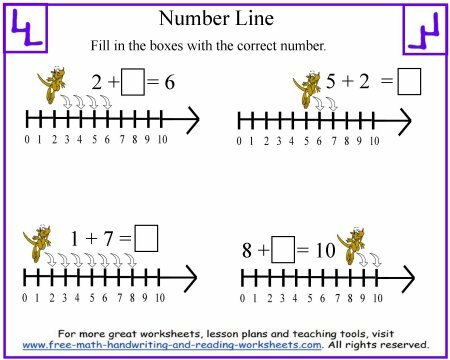 Number line worksheets make learning basic addition and subtraction facts much easier for the new math student. They give students a way to visualize the math problem, making an abstract concept concrete. 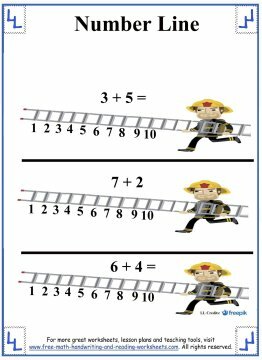 If you've never used a number line, they're simple to use. 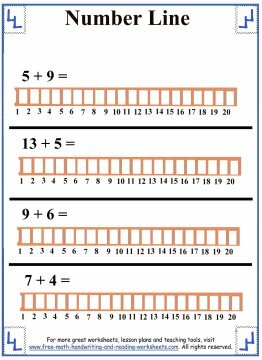 If your child has an addition problem, for example 5+3, he or she can place a finger on the first number on the number line, in this case the number 5. Then the student simply moves the finger three more spots on the number line and lands on the correct answer, in this case, it would be 8. In addition to the worksheets, I've also created a few printable number lines that you can use along with the practice sheets found in my 'Fractions' and 'Decimals' lessons. You can find those worksheets at the bottom of the page. Here are a few examples of the worksheets you'll find in the lessons below. 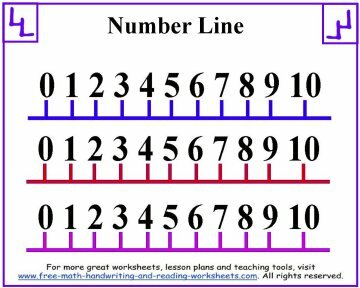 Click on any image below to print out your number line or worksheets. 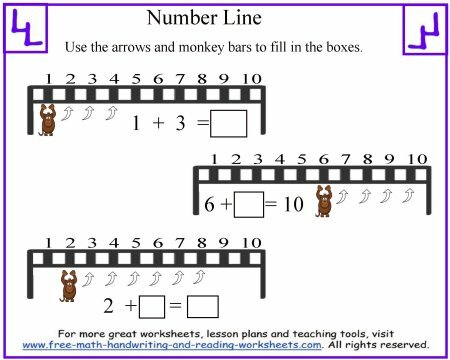 The first 3 units link to printable number lines covering decimals, fractions, and numbers. 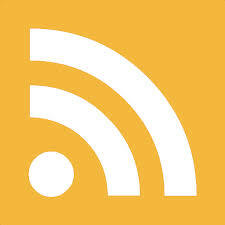 They would be great tools to use as your students learn about those concepts. 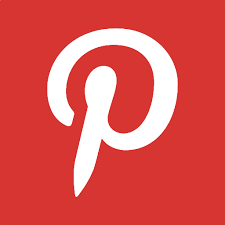 I've created many worksheets covering those topics which you can find using the menu. I've made multiple variations of the Printable Number Line that you can print out. Beginner mathematicians should start with the numbers 1-10. 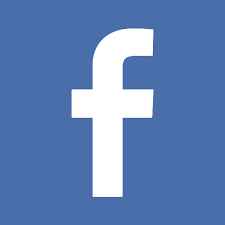 There is also a line that goes to twenty and one that shows both positive and negative numbers. As for the addition worksheets, there are lessons that focus solely on addition or subtraction and ones that combine the two. 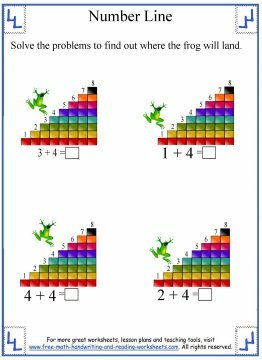 You can also print out some blank templates to create your own math problems. After you've printed out the decimal and fraction lines, you can use that as a guide in the lessons below.